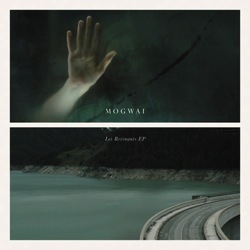 I haven’t seen Les Revenants (a TV remake of They Came Back) but I’m currently listening to the soundtrack, by Mogwai of all people. It’s melodic, melancholic and generally less post-rock-y than the band’s other offerings. I’m a big fan of soundtracks and will take a punt on some albums even if I haven’t seen (or hated) the film, so my collection contains a few duds — but this one I feel confident in recommending to anyone who likes, well, ambient music. This one’s kind of tense, and kind of sad. Oh look, it’s raining outside. We’re considering giving up terrestrial TV, and thinking of the different strategies we’d use to get our content. One of them is to buy everything we watch today on DVD or iTunes. This brought the stark realisation that if a lot of the stuff we were watching wasn’t free with subscription, we wouldn’t be paying for it. Game of Thrones fits that definition. As I said before it’s a soap opera, and deserves to be picked up and dropped like one. I did however find a rather interesting review in The New Yorker by Emily Nussbaum who places it not in the context of fantasy, but of modern premium cable series. “Game of Thrones” is the latest entry in television’s most esteemed category: the sophisticated cable drama about a patriarchal subculture. This phenomenon launched with “The Sopranos,” but it now includes shows such as “Deadwood,” “Mad Men,” “Downton Abbey,” and “Big Love.” Each of these acclaimed series is a sprawling, multi-character exploration of a closed, often violent hierarchical system. Fantasy—like television itself, really—has long been burdened with audience condescension: the assumption that it’s trash, or juvenile, something intrinsically icky and low. p>If fantasy wants to elevate itself above such assumptions then portraying it as yet another eye on the patriarchy for the premium subscribers is not the way to do it. I’ll probably continue to watch GoT while it costs nothing, but I doubt I’d miss it much – other than for the title sequence, which is the best thing about it. by Smiorgan 2 Comments on D&D Artwork – Petition! This documentary would have you believe that D&D is the most influential game in history. Whether you believe that or not, petitioning Wizards of the Coast for art with better gender and racial balance in D&D 5e is a good thing. The nice folks at Black Armada started the petition, I’ve signed it, and other friends of mine have blogged about it. The chainmail bikini did not begin with D&D. Frank Frazetta did his fair share of drawing more flesh than chainmail (though to be fair, Conan was also nearly naked). But if D&D wants to take the credit for the success of the videogame industry, for treating PTSD, and for “lite roleplaying activities like Facebook” (really?) then it can also take the blame for Game of Thrones‘ disproportionate female to male naked bottom ratio. I didn’t like GoT when I read it more than 10 years ago. I thought it was forgettable fantasy trash remarkable only for the number of bland characters and gratuitous body count. Watching the first episode of the series this week brought all of that back. My first instinct was “it’s Downton Abbey with swords” but it’s not even a soap opera. GoT fails the Bechdel test miserably; its women exist to be raped, and its men exist to be murdered in graphic fashion. It’s George R R Martin’s perogative to kill his characters as he sees fit, but of the 15 best deaths in the first series only one is female (and arguably not a sympathetic character). Perhaps Martin was reluctant to kill female characters in the way he kills males. Still, I subscribe to my partner’s view – it’s OK to have death, prostitution, and people married against their will – as long as the gender balance is equal. GoT probably likes to think it’s edgy but it does nothing to distance itself from the fantasy gender (im)balance tropes. In fact I think Sinbad does marginally better in that respect; it’s plotting may leave a lot to be desired but it has a female fighter and thief, and the most vulnerable character is male. 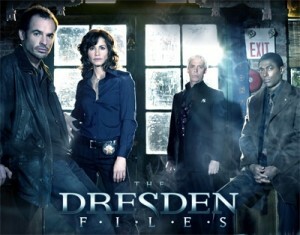 We’ve been watching the Dresden Files. The supernatural setting is hardly original in the post-Buffy era, but the pace and the plotting of each episode make the series worth watching. They only made one series. Paul Blackthorne plays Harry Dresden, and when I saw him he looked familiar – turns out his break into acting was in UK tv commercials. He’s also a photographer and documentary maker.